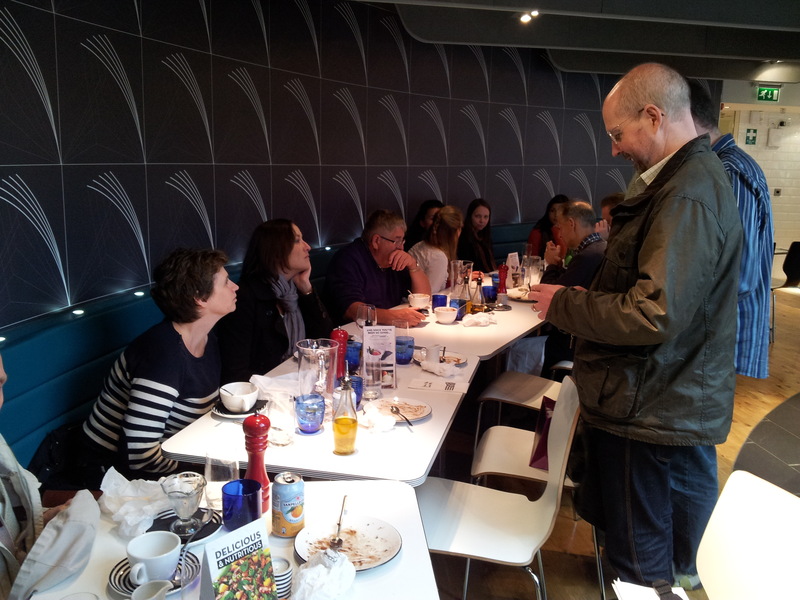 October’s YTI social took place in Hull, where we enjoyed a leisurely lunch followed by a visit to the “Going Dutch” exhibition at the Ferens Art Gallery. For YTI’s Hull-based contingent, it was a chance to welcome members (along with friends, partners and parents) from across the region to see some of the sights of our little corner of East Yorkshire. Enthusiastically donning our tour guide hats, we proudly explained that the shopping centre in which we met for lunch was designed to resemble a ship, complete with “decks” rather than “floors” – the general consensus was that, rather than being an architectural triumph, this just made it more difficult to find Pizza Express! It was especially nice to be joined by three new faces: one of our brand new members, a translation student from Hull University and a Hull-based member of the Council of the Chartered Institute of Linguists. After lunch, we took advantage of a break in the rain to head over to the Ferens Art Gallery. The permanent collection is certainly one of the best in the region and the gallery is one of the centrepieces of Hull’s bid to be the UK’s Capital of Culture in 2017. In the end, most of us did not have enough time to explore the permanent exhibitions as much as we would have liked. 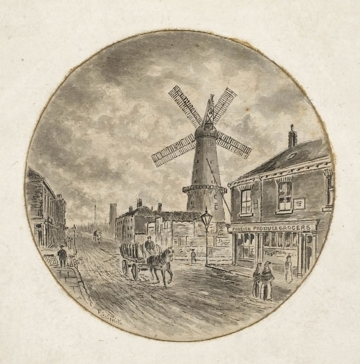 The main focus of our visit was the “Going Dutch” exhibition, which explored the links between the Low Countries and the Hull and East Yorkshire area. There was an interesting analysis of the Dutch architectural influence on Hull’s Old Town, along with some tantalising titbits of trivia, including the mystery of whether Rembrandt really spent a year in the city. Finally, there was a fun section about the history of the ferry service between Hull and Rotterdam, including examples of funky 1960s advertising and some original crew uniforms! A good time was had by all – thanks to Charlotte for organising the event. In what was literally a “sell-out” event, over seventy people attended this Workshop in York on 28th September 2013 delivered by one of the most famous current practitioners in the field of translation world-wide, Judy Jenner. Judy is based in Las Vegas in the USA and runs “Twin Translations” with her sister Dagmar, who really is her twin (although Judy pointed out she was “the older one” having arrived a full ten minutes earlier!) and who is based in Vienna in Austria. During a summer visit to her sister in Vienna, Judy was scheduled to pop over to London to give this talk to ITI’s London Regional Group together with CIoL. In a masterful piece of quick negotiation and events management, however, YTI’s Joint Coordinators, Paul Clarke and Charlotte Couchman, contacted Judy and asked her if she would like to travel up to York to speak to members of YTI and CIoL members based further north (and indeed any others who might be interested) as well. A clever move, as this turned out to be one of the most popular and well attended events which YTI has ever organised, with the name of Judy Jenner (known to very many in the translation world from her articles in the ITI “Bulletin”, her pro-active Twitter postings and also from her best-selling book, “The Entrepreneurial Linguist”) proving to be a huge draw. Judy turned out to be a truly first-rate communicator* and would no doubt have been an equal success in teaching, academe, law, corporate business etc. She is a highly engaging, effective and entertaining speaker and both sessions (1 x 1 and 3/4 hours + 1 x 45 minutes) were very well paced, “polished”, made best possible use of visual resources/a variety of presentational techniques (we even got role play, with her sister, in the final session!) and also allowed for participant interaction/discussion in between sections of the talks. (*It was interesting to note, however, that Judy had the confidence to freely admit that she had not been “born” with these qualities (and had actually been rated as a poor public speaker on her Business Studies courses (culminating in an MBA)). She had acquired these skills through “perseverance, commitment and practice”). The latter qualities were at the heart of what she had to say. The Workshop was in three sections, the first two in the first half and the final one in the second half. The first two dealt with generic issues such as general skills needed to succeed in recruiting direct clients (being very well organised, good memory, good sense of humour, excellent presentational/public speaking skills etc) + tools to do the job (CAT (raised in Q&A at end), accounting software (Translation Office 3000, apparently a pain to set up, but very useful when finally operating properly), professional invoicing, marketing materials etc.) The second half then dealt with actual strategies for acquiring direct clients; essentially: i) you have got two main choices: personal approaches/online; ii) forget cold calling entirely; iii) do RESEARCH re potential clients AND key individuals within the organisations selected (good plea for effective use of LinkedIn and getting yourself introduced to key figures); iv) approach potential clients by pointing out how you can deploy your specialist skills for their benefit in specific ways (e.g. in connection with a new marketing campaign or if they are just starting up operations in one of your source language countries) and v) (as with improving public speaking) remember you will need lots of “perseverance, commitment and practice” (but then again, “No Pain, No Gain”!) > Conclusion: in the end, “It’s all about relationships”! In summary, a really fascinating afternoon and one which provided an excellent “how to” guide for those wishing to follow the strategy of marketing to direct clients (which Judy freely admitted was not for everyone). The proceedings were rounded off by thunderous applause and also expressions of gratitude once again to Paul and Charlotte for having organised such an instructive and yet also entertaining event. Judy’s reputation was shown as being fully justified and well earned and anyone who could not make it to York can get a feeling of the expertise upon which her fame is based and which underpinned the Workshop by reading the following article from her highly informative website: http://www.twintranslations.com/wp-content/uploads/2010/01/2009-July-2-Judy-Jenner.pdf . Let us all hope it will be possible to invite her and Dagmar back to the Region again one day!